I know sometimes it can be hard to buy for a photographer. Everything that seems important like lenses and studio equipment seem to cost an arm and a let. I have compiled a little list of items that I think would make great gifts or even stocking stuffers. 1. Memory Cards - I used the PNY Elite Performance card as just as an example. But if you like that brand you can find them here. Photographers always need more memory. You would never hear me say wow I think I'm all set with memory. Whether they prefer compact flash or SD cards a photographer will be happy to get more. I know these are a little boring but they are a necessity. 2 Lighting Kit - I just received one of these as a gift for my birthday. I am not sure which kit I was given as it was a gift but this one looks good and has 4/5 stars. 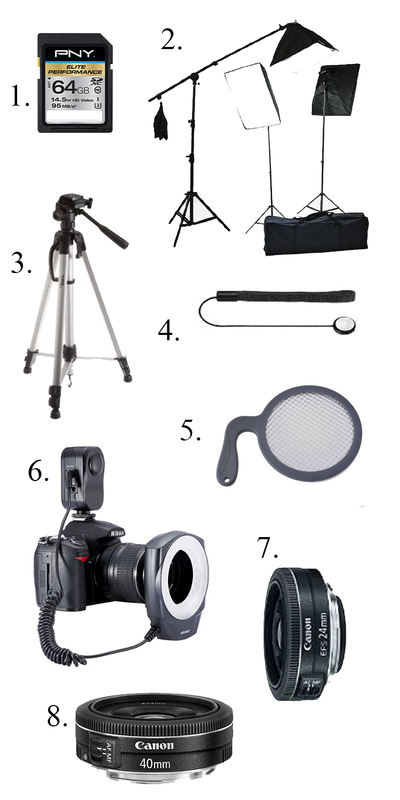 So if you have someone looking to get into studio lighting this would be a great kit. At $129.99 I do not think you could go wrong. 3. Tripod - I love my tripod for group shots! Also comes in handy when you need to take a nice self portrait that does not involve a selfie stick. This one has great reviews on Amazon and is the #1 best seller for tripods on the site. 4. Lens Cap Keepers - These are more of a stocking item but they are darn helpful. I have had a few lenses come with them on and they have been a saving grace. I truly need to order these for myself. The ones I found come in a pack of 6 and for $5.99 plus being Amazon Prime you can not beat that. 5. White Balance Filter - Everyone needs a way to do white balance. I found this paddle. It looks interesting compared to the different ways that I have seen. But this one you do not have to screw on and off your lens and is a third of the price of some of the caps that I have seen. 6. Marco LED Ring Light - This would be a great tool for anyone who likes to take macro photographs. 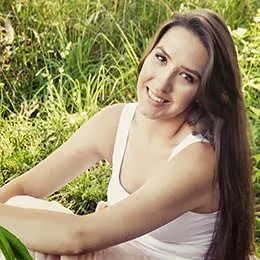 Also I have seen photographers use them for portraits to get a nice even light around a face. 7. & 8. 24mm & 40mm Lenses - It is easy to forget the more affordable lenses that are out there when there are the $1000 + ones out there to lust after. I recently recieved a 40mm pancake lens as a gift and have really enjoyed shooting with it. It is a fun lens to take out on walks and just around when your unsure of what you might find. I hope these are helpful ideas! Soon I will be posting on the "Wonderful yet slightly less necessary" fun gift ideas for a photographer. 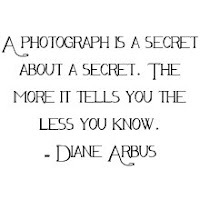 Please let me know what is on your photography wishlist this Christmas! Please Note: I realize these all link to amazon products. This is not a sponsored post. I just thought I would try to use a major retailer. Thanks!